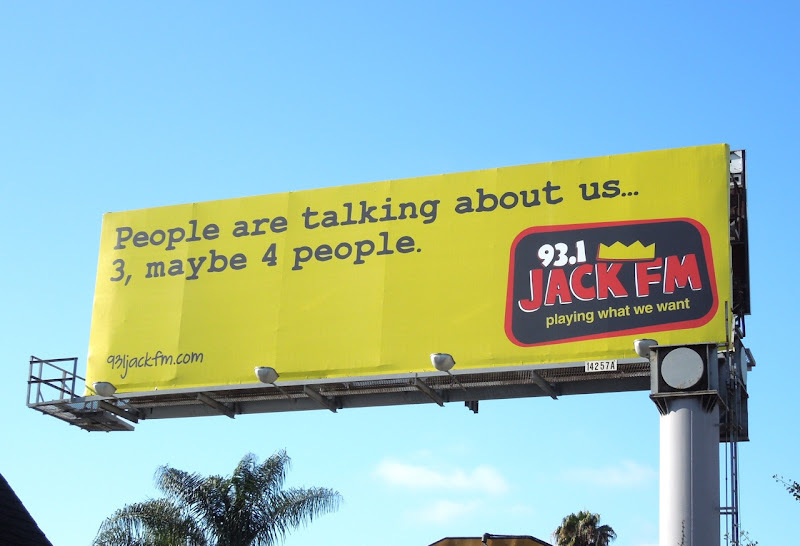 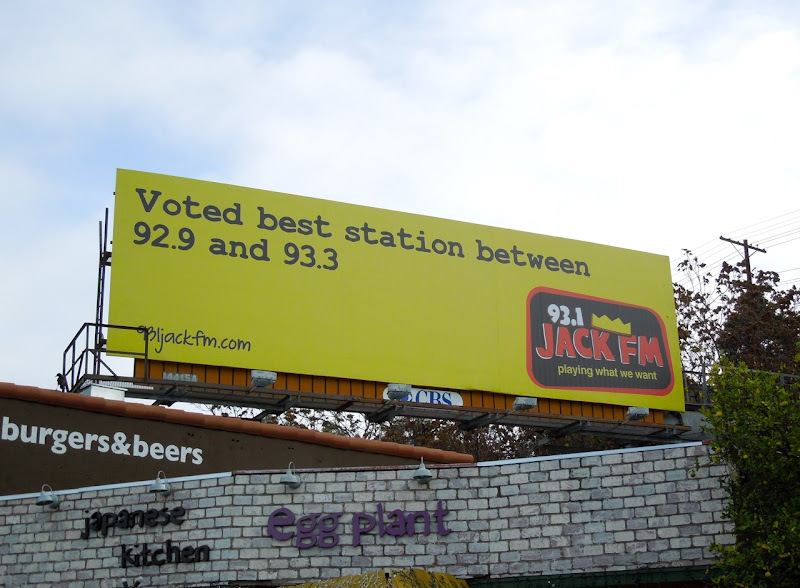 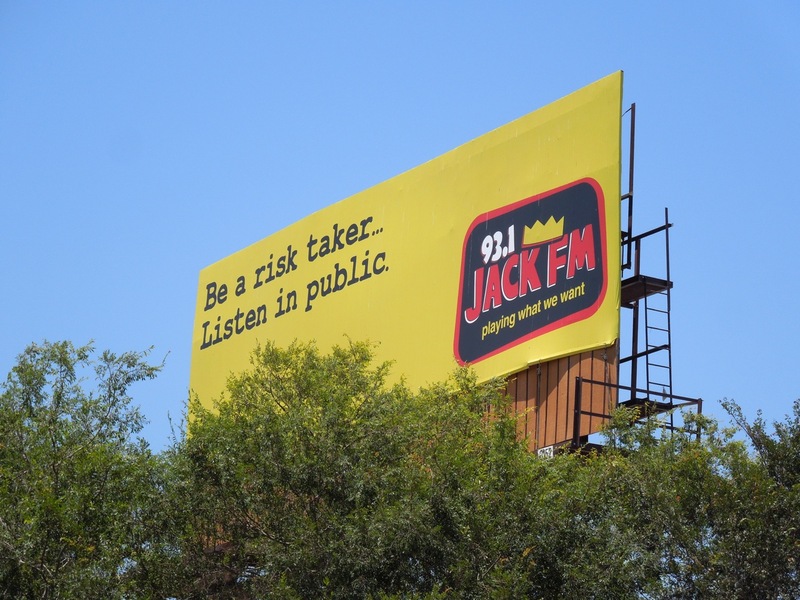 Daily Billboard loves this witty campaign for 93.1 Jack FM, especially as radio billboards always have to try harder when they don't have a visual product to sell. 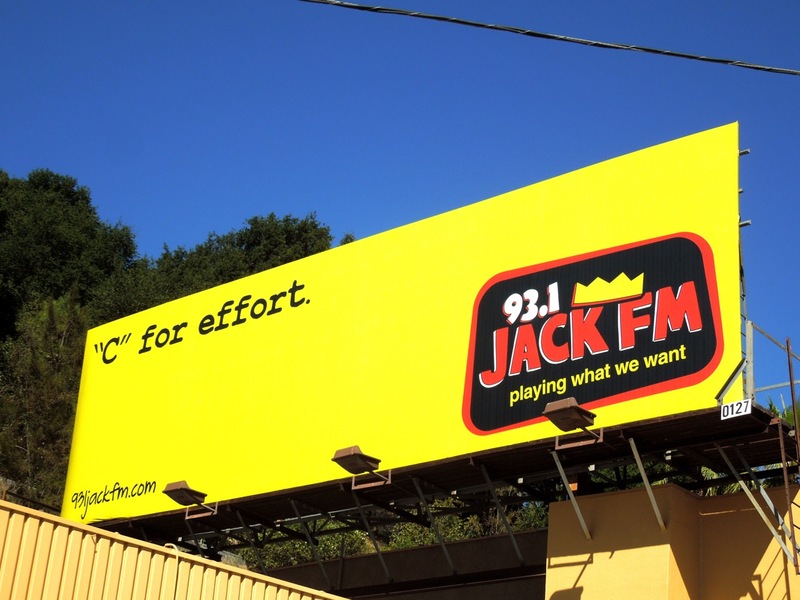 The zesty yellow colour really catches your eye (even when obscured by trees), whilst the self-deprecating copy brings a smile to your lips. 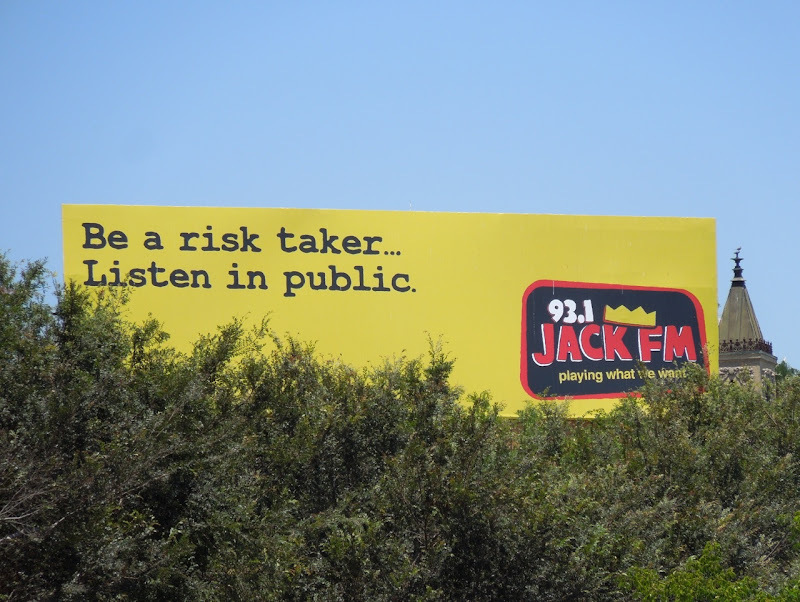 The 'People are talking' creative was snapped along L.A.'s Highland Avenue on June 23, whilst the 'C for effort' billboard was spotted along Ventura Boulevard in Studio City on June 26 and the 'Risk taker' version was captured along Santa Monica Boulevard in West Hollywood on July 1, 2012. For another copy-only radio campaign check out these KPCC News examples and for another take using illustrations take a gander at these KFI AM radio billboards. 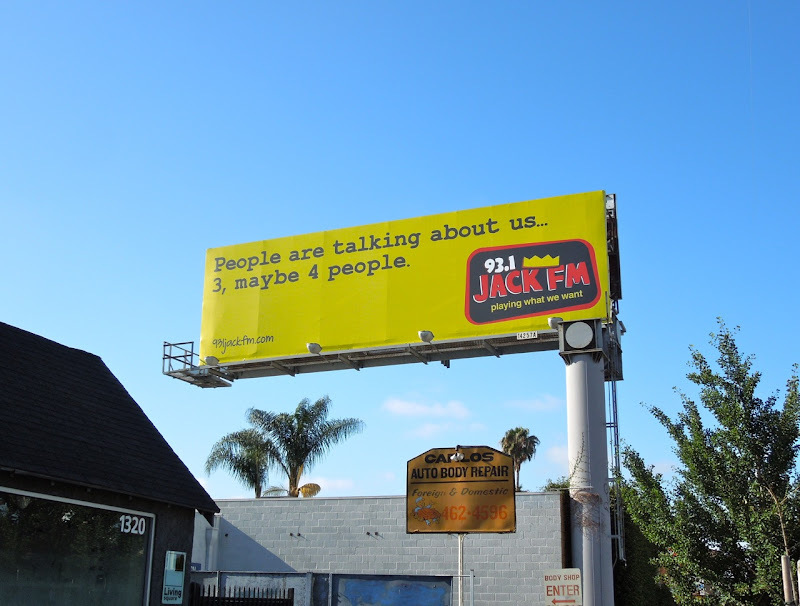 UPDATED: Here's another witty creative for 93.1 Jack FM snapped at Beverly Boulevard and La Brea Avenue on August 11, 2012. 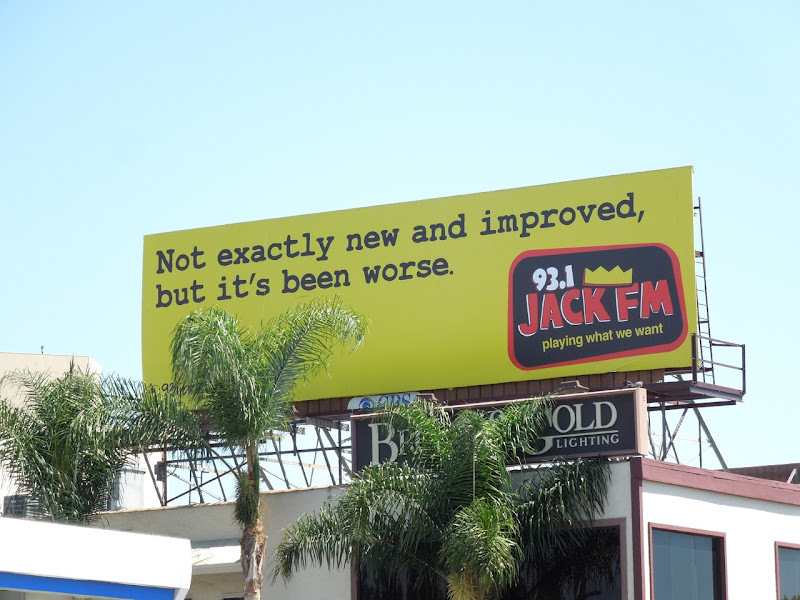 UPDATED: The puns keep coming with this latest Jack FM billboard snapped along Ventura Boulevard in Studio City on December 1, 2012.